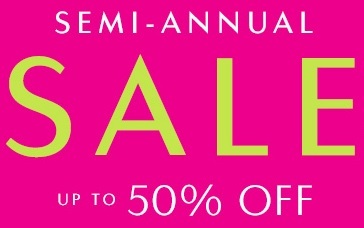 There are still 2 days available for Semi-Annual Sale from Charming Charlie. It's possible to save up to 50% off retail prices, valid on selected styles. Here we come with some examples of items where you can save: jewelry, handbags, accessories. scarves, ... Find your nearest Charming Charlie store through our store locator. Source of the information is Charming Charlie. Offer expires 01/06/2016. More details at Charming Charlie stores or online on the official website.